This program provides quality interaction time with you and your child while introducing large motor development using gymnastics as a catalyst. This Exploration class focuses on physical and social development with songs and tumbling. Smaller-scaled equipment in your own private gymnastics room will help give your tot room to grow. This class will provide semi-structured instruction to jump-start your child on the path to health and fitness. Introduce your preschoolers to gymnastics in a fun positive atmosphere on their own. A creative theme to each week’s lesson allows your child to enhance their imagination as well as sending them on a path of success and physical fitness. Basic gymnastics skills on smaller-scaled equipment in your own private gymnastics room will help give your 3 year old room to grow. This class will help improve body awareness, coordination, balance & listening skills through songs, games and activities. 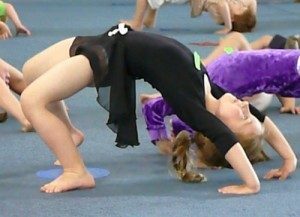 Introduce your preschoolers to more advanced gymnastics in a fun positive atmosphere. A creative theme to each week’s lesson allows yourchild to enhance their imagination as well as sending them on a path of success and physical fitness. 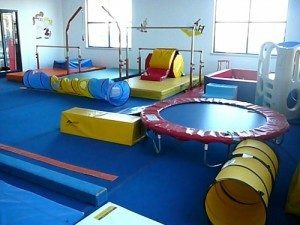 More Advancedgymnastics skills on smaller-scaled equipment in your own private gymnastics room will help give your 4 year old get ready for the big gym. This class will help improve body awareness, coordination, balance & listening skills through songs, games and activities.